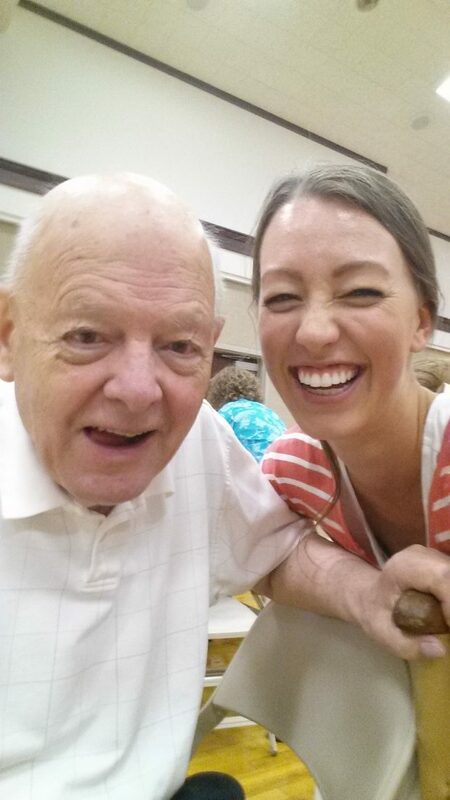 Two years ago, my Dad’s family gathered for an epic reunion. His parents, their 10 children and spouses, and over 50 of their grandchildren convened for several days of activities and evening programs. 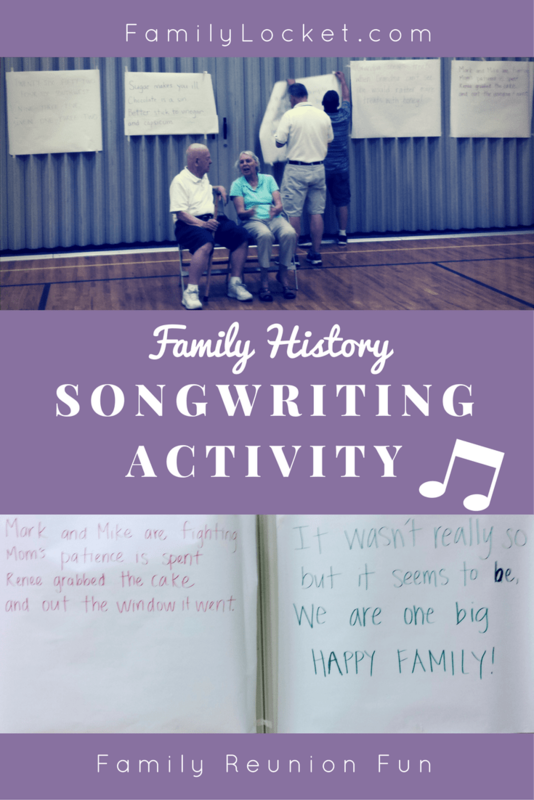 One evening included a songwriting activity that turned out to be entertaining and storytelling-inducing. Each family separately came up with their verse and then the butcher paper was taped up to the wall. Next, we all sang the song! 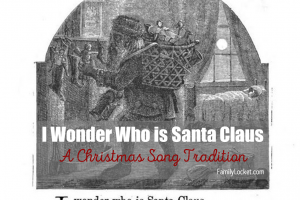 It was funny to see which parts of the family history each family brought out in their verse. I recorded us singing it and just watched it, laughing all over again. It was nice to see my grandpa in the video. He has since passed away and I sure miss him. This activity was easy to prepare and fun to execute. Divide the family into groups. Our groups were each of the ten kids of my grandparents and their family. Copy the song for each group and divide the song up into sections. You’ll need as many sections as there are groups. You can repeat the song however many times you want. Sing the song together and record it! One of my favorite stories told during this activity is an anecdote about how my grandma dealt with sibling rivalry and fighting among her ten kids. As you can imagine, with ten kids, there was some of this. Two of her teenage sons were fighting over who got to eat the cake that her teenage daughter baked. Grandma solved the problem by taking the cake, which was in a glass pan, and throwing it out the open window! Problem solved. 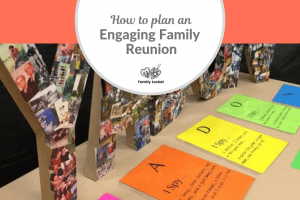 This is such a fun reunion idea! We are definitely adding this to our next reunion schedule. And I love the story about the cake flying out the window. What a fun idea! I love the cake story too. And how sweet to have a video of your Grandpa to accompany these happy memories. Diana and Nicole, Happy 2nd Blogiversary! 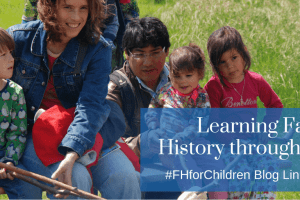 I love reading your stories and you have such creative ideas for hooking children on one of the best hobbies ever – family history. Thanks Linda! I didn’t even realize it has been two years since we started blogging. What an amazing ride it has been. Great post. It looks like lots of fun. Congratulations on your blog’s second anniversary. Well done!